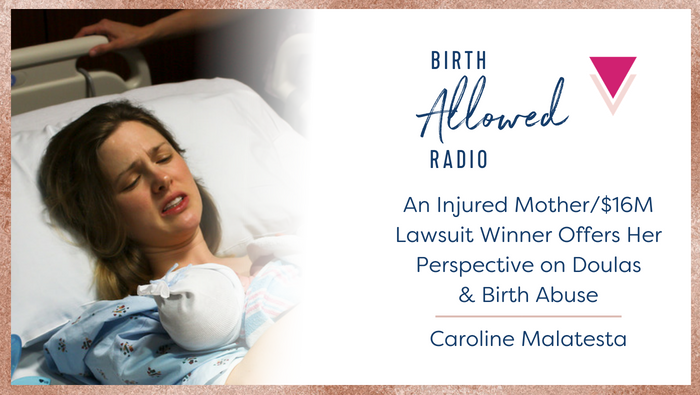 In this episode, Cristen speaks with Caroline Malatesta, the Alabama mother who won a lawsuit against her hospital after she was permanently injured in a “wrestling match” with her nurses during childbirth–in a place that promised support for unmedicated birth. One piece of Caroline’s journey that she has not spoken about publicly before is how, in the aftermath of the assault, her doula and the local doula community responded to her. It’s an important perspective from a birthing mother and doula client.